Alloro 6, Trilocale Quaint, a few steps from the center and the sea. 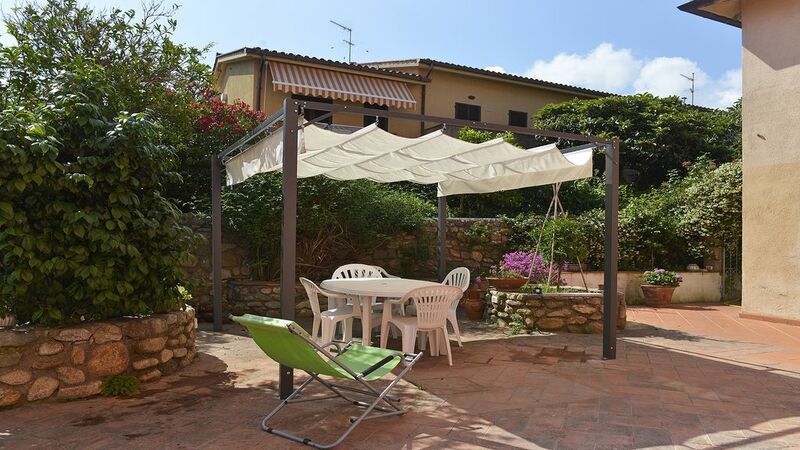 Alloro 6 is an apartment on the 2nd floor of an 18th century building in typical Elban style, in a green and quiet area, just 400 meters from the beach and the town center. It was completely renovated in 2014, maintaining the warmth and elegance of the architectural elements of the past, combined with the comfort of modern furniture. The apartment is on two levels and is composed as follows: on the entrance floor large living - dining room with kitchenette and double sofa bed, bathroom, small balcony. Upstairs is the sleeping area, consisting of: double bedroom, twin bedroom, bathroom, small terrace with stunning sea view - mountains. Furnished outdoor space shared with another apartment. Comforts: TV, satellite dish, dishwasher, washing machine. Marciana Marina, ideal place for those who, in addition to the sea, love the village life with its atmospheres, cultural events, quality shops; location for those who love peace and relaxation in contact with a beautiful nature for the transparency of its waters and the proximity to many hiking trails that grow behind him along the ridges of the massif of Mount Capanne.